ox tail curry | eating with S.O.L.E. 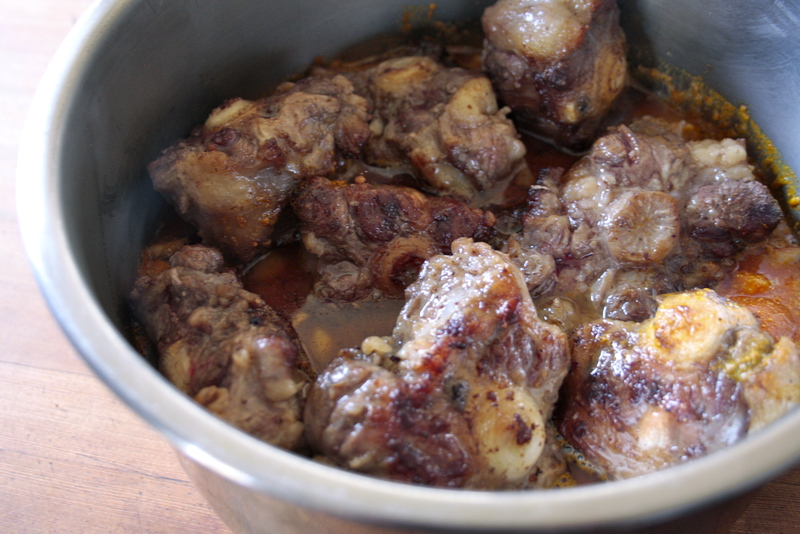 I have eaten a good amount of ox tail curry in my life (love it), and since our pig-in-a-day snout to tail cookery and butchery experience I feel like my chef-y odd bit cookery skills are more honed than ever. When my friend brought be a bundle of ox tail bits I was pretty stoked to bust out a curry, and tonight was the night. I knew I had to braise the meat and then pressure cook it for the softest tender beef, and that is exactly what I did. These nubby tail bits were slowly braised in pork lard and a heavy seasoning of salt and my favorite garam masala spice, then set to cook (in my instapot pressure cooker) for a few hours with some frozen whole garden tomatoes, loads of onions, and garlic… the yield was the most insanely moist buttery bits of beef ever! 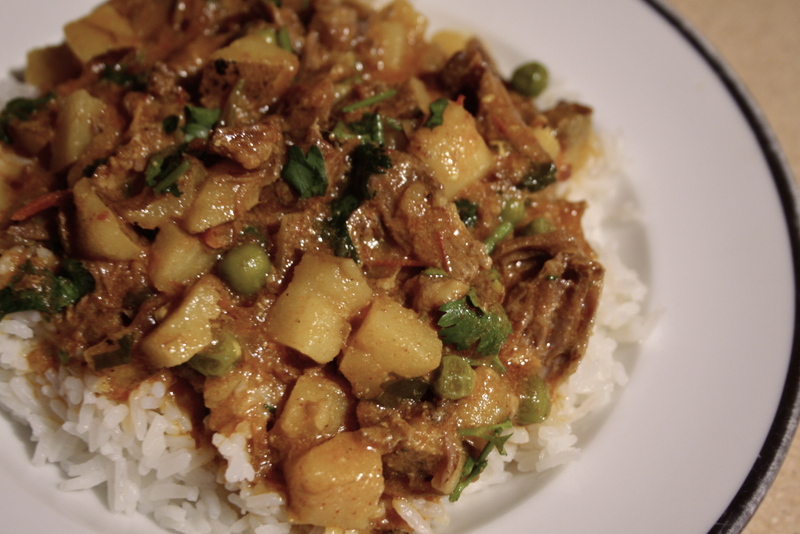 This curry also got a healthy dose of potatoes, peas, more spice and coconut milk for a creamy robust spicy curry, very similar to a vindaloo. Ox tail isn’t for the faint of heart though! It’s no boiled pig head, but it is a little gnarly, albeit an abundant and cheap cut of meat. It’s a little bit like cleaning a roasted chicken carcass for soup, you need to caress the meat from the bone and sort out the fatty cartilage-y undesirable bits, of which there are about equal amount yuck to yum factors with tail. Totally worth the effort, and in fact the only time I have cooked as buttery melt in your mouth meat was in fact when I was making headcheese, the pork check was divine.